Channeling old movies on Oscar Night. Who remembers “Alice Doesn’t Live Here Anymore”? I got another bag of grits a few weeks ago from our Community Supported Agriculture (CSA) delivery and it reminded me I still have half a bag from December. 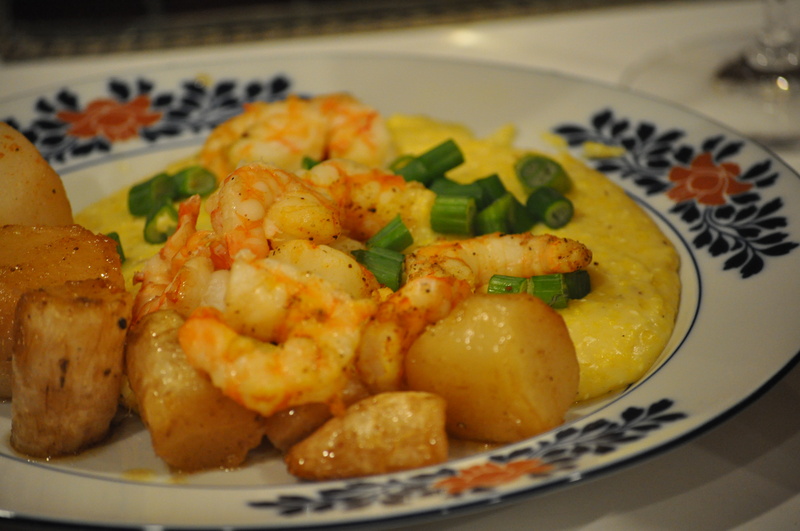 The yellow grits from December. Now, in addition. 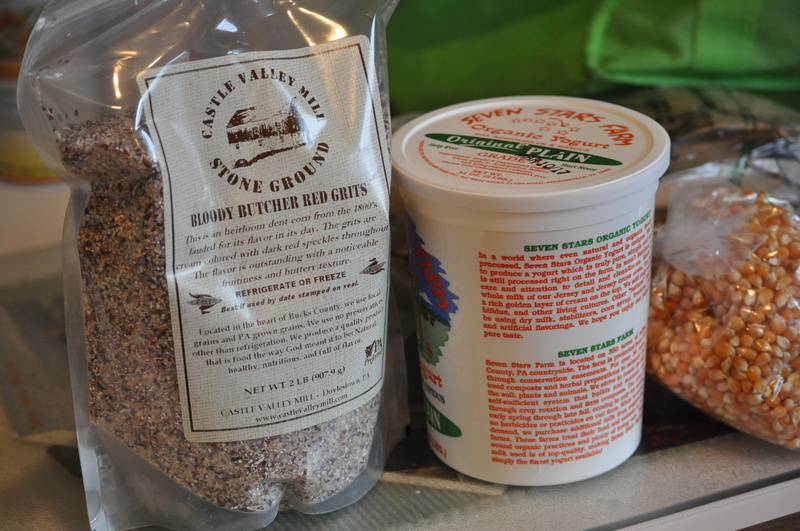 A brand new bag of heirloom Bloody Butcher Red grits. Not your ordinary grits. 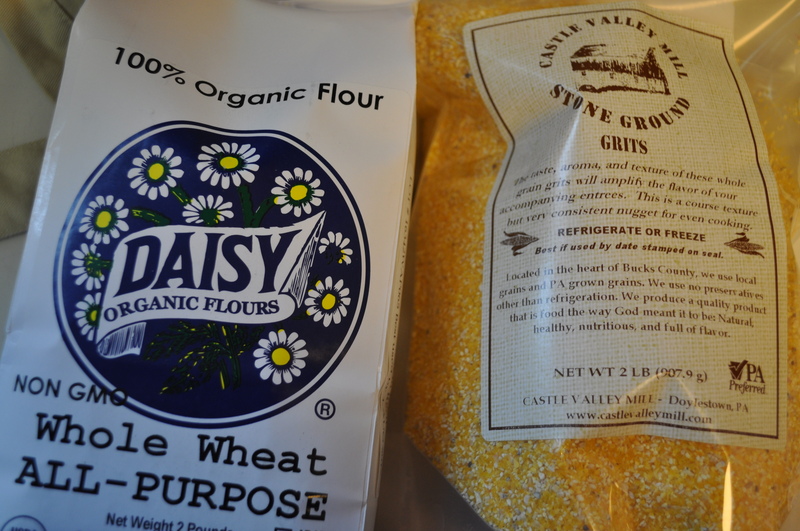 I want to make these soon but need to finish that bag of yellow grits from December. Tonight, I made another large pot to serve with shrimp. Grits are definitely not fast food. But they certainly starred in tonight’s dinner, even if they took 40 minutes to cook. This was a truly simple meal, yet time consuming to make. A pound of Gulf Shrimp. Steamed after marinating in Old Bay, Secolari flavored vinegar, and sesame oil. Roasted radishes from the CSA, that were made earlier this week and heated in a very hot oven, after drizzling in honey and sprinkling with Old Bay. The grits. Half milk, half water. Salt. Pepper. Boiled. Add grits. Three to one ratio of liquid to grits. Cook forever. Stir almost that much. Add parmesan and butter. Stir again. Serve. Posted in CSA, Food, LFFC, Local Businesses, Locavore, Real Food and tagged cooking, CSA, Food, foodie, Locavore, real food. Bookmark the permalink. The grits sound interesting. I googled for recipes to bake them b/c I’m prone to stick-age with recipes that need a lot of stirring. I am going to try overnight crockpot grits. I have nothing to lose. Why not?